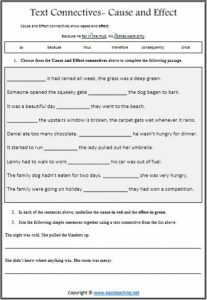 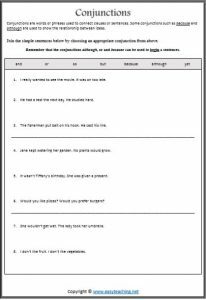 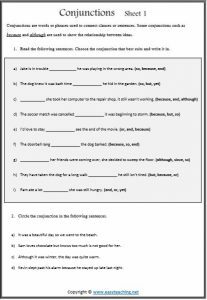 Conjunction worksheets and activities. 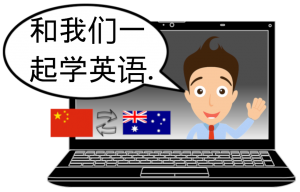 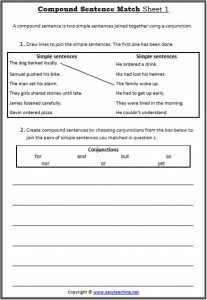 Help children understand correct use of conjunctions to join together clauses and sentneces. 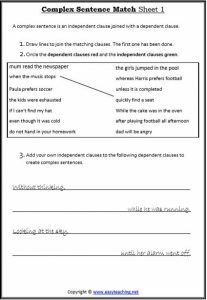 See our Literacy Games page for fun games and activities! 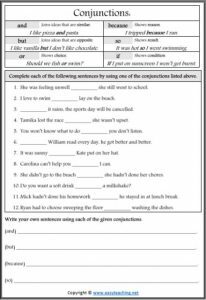 Circle the correct conjunctions to complete the sentences. 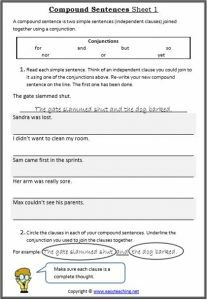 Use conjunctions to create compound sentences. 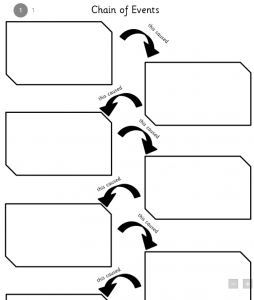 Draw lines to match the cause to the effect. 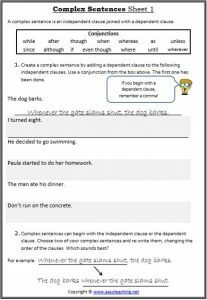 Match two clauses to build complex sentences. 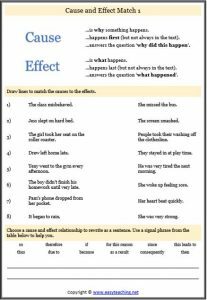 Cause and Effect Identify ’cause and effect’ relationships. 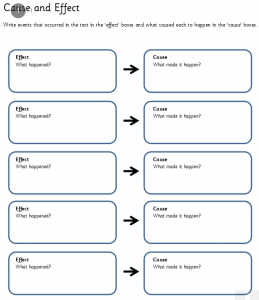 Identify what happened and what caused it to happen. 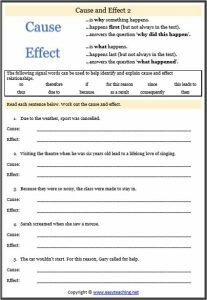 Chain of Events Learn about ’cause and effect’ relationships by linking events in an ordered sequence.